After annihilating Downey Downes, UFC lightweight - Jeremy Stephens - wants the former Pride Champion - Takanori Gomi - in a match. Riding two wins in a row, UFC lightweight – Jeremy Stephens – has proven he is one of the most dangerous fighters in the world. Demonstrating technique and deadly power had made him a force to be afraid of, as evident in his reel knockout on Rafael Dos Anjos and his power punches on Marcus Davis at UFC 125. Jeremy Stephens got his chance to showcase his skills at the TUF 13 finale last weekend, defeating Danny Downes. He recognizes Danny Downes for being a tough competitor, but he’s still trying to analyze how that didn’t end the fight. Danny Downes, on the other hand, did lastfor 15 minutes but not without nearly losing a part of his body and blood drifting on his face. After the TUF 13 finale was over, Stephens walked out a winner and now he’s prepared to advance to the next challenge. The challenge that he is waiting for? 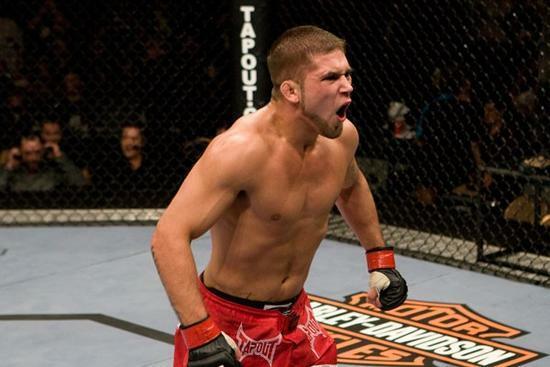 Jeremy Stephens is really a fan of Takanori Gomi, and that reason he wants to face the Japanese legend in the Octagon. Another reason is that he wants to show if he’s learned over the past few months. Once known as a one-punch knockout fighter, Stephens is focusing on becoming a complete mixed martial artist. Well, a complete mixed martial artist can knock your head off, can’t he?